Today, the 24 of June, 2014, the opening of the Council of Bishops of the Russian Orthodox Church Outside of Russia took place and sessions will continue through the 1 of July. 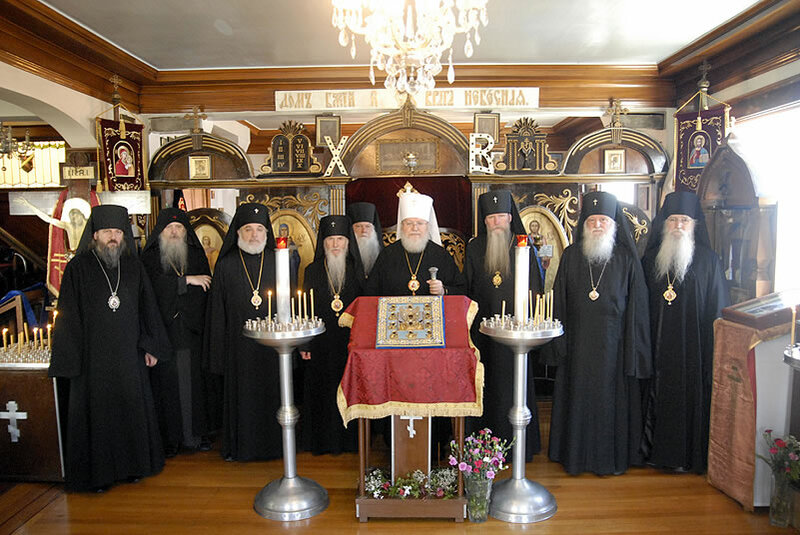 The meetings are to be convened in the Archbishop Anthony Memorial Library of the Chancellery of Western American Diocese at the Saint Tikhon of Zadonsk Church in San Francisco. More information and photographs are available here. 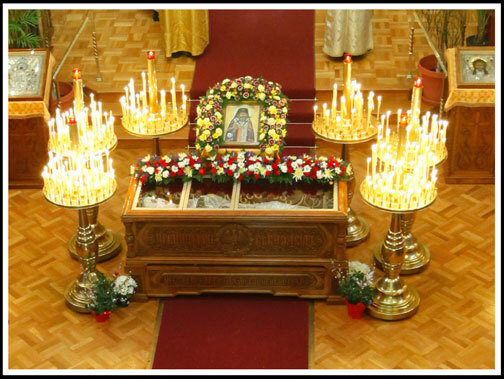 On Friday the 27 of June in the Diocesan Cathedral of the Mother of God “Joy of All Who Sorrow” St. John of Shanghai and San Francisco the Wonderworker’s honorable relics will be transferred to the middle of the church. 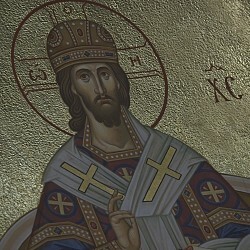 At 5 PM vespers and matins will begin, and then at 7:00 the singing of the Akathist Hymn to St. John. It is expected that many bishops and clergy will participate, as well as the faithful from all the canonical jurisdictions of the Orthodox Church. The Solemn Opening of the XIII All-Diaspora Youth Conference will take place at this time as well. There will be for sale in the entry of the cathedral from Friday evening a commemorative medallion honoring the 20 Anniversary of St. John’s Glorification (details here). 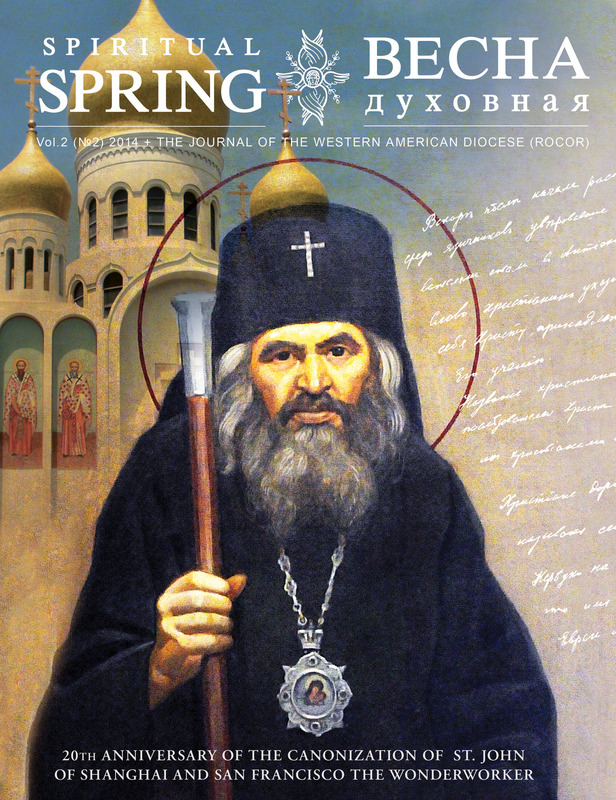 Also available will be the commemorative issue of the diocesan journal Spiritual Spring, which has been completely dedicated to the memory of St. John and includes never-before published archival documents and photographs. The cost of the special edition is $15.00. Subscription will be available for purchase, or one may do so on-line here. On Saturday the 28 of June the greeting of the "Kursk-Root" Icon of the Mother of God, the Hodigitria of the Russian Church Abroad, is scheduled for 4:30 PM. An "Episcopal Nomination" will follow at 4:45 PM and All-night Vigil at 5:30 PM. On Sunday the 29 of June there will be two Litrugies. The first is scheduled for midnight. The second will begin at 8:45 AM with the greeting of His Eminence Metropolitan Hilarion Frist-Hierarch of the Russian Orthodox Church Outside of Russia. Bishops from Russia and the Ukraine are expected to participate and there will be the consecration of Bishop-elect Archimandrite Nicholai (Olhovsky) as Bishop of Manhattan. At the end of the Divine Liturgy there will a procession around the cathedral. A festive banquet is scheduled for 3:00 PM at the Irish Center of San Francisco. All guests must have a reservation. Space is now limited. To register call (650) 281-1954. Parking will be available for the weekend at the Presidio Middle School located at 30th Ave. and Geary Blvd. Saturday June 28 the lot will open at 4 PM and remain open through the night, closing on Sunday the 29 at 3 PM. The cost is $5.00 per vehicle per entry.